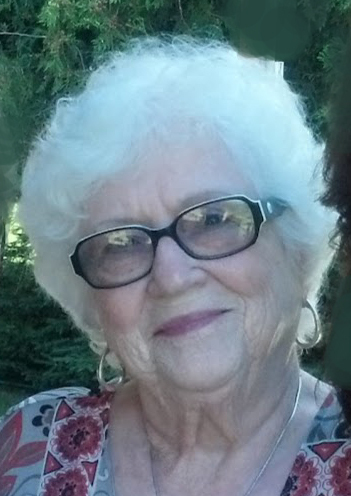 | 424 W. Wentzel Ave.
Darlene A. VanSickle age 86, of Fargo, ND, formerly of Warren, MN and Baudette, MN died on January 17, 2019, at Edgewood Vista in Fargo. Darlene Annabelle Johnson was born on August 9th, 1932 in Warren, MN the daughter of Harold & Emma (Rud) Johnson. She grew up in Middle River, MN where she graduated from high school. She then attended Bemidji State University where she received her degree in teaching. Darlene taught school in Warren. She married Dennis VanSickle on July 12, 1958 in Middle River. The couple made their home in Warren for many years. They later moved to their lake home near Baudette in 1985. Darlene enjoyed traveling, gardening, flowers and especially spending time with friends and family. Darlene is survived by her children, Jay, Deborah (Mitch) Carlson, grandchildren, Nick, Brooke (Casey) Larson, Dylan, Alexa & Regina, sister, Susan Nelson, brother-in-law, Donald (Shirley) Vansickle and many nieces and nephews. She was preceded in death by her parents and husband Dennis in 2014. Visitation will be on Saturday, January 26, 2019 from 1 until 3 pm at the Dubore Funeral Home in Warren MN. Graveside Service will be held at the Greenwood Cemetery in Warren on Saturday, January 26, 2019 at 3:15 pm. Reception will follow at the Warren American Legion. The clergy will be Pastor Matt Howe. Arrangements are with the Sturm Funeral Home in Sleepy Eye and the DuBore Funeral Home in Warren. On line condolences may be left for the family at www.sturmfh.com. There will be a Celebration of Life held later this summer at her home in Baudette. In lieu of flowers memorials are preferred to the WAO Education Fund or the donors choice.